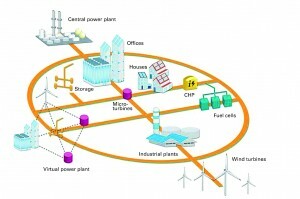 Dutch energy group Alliander puts the intelligent power grid, the smart grid, into practice. 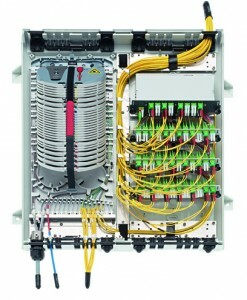 FO cabling from R&M connects 300 distribution stations of the power grid and makes data processing in real time possible. Dutch energy group Alliander is experiencing a dynamic development in electricity output and power supply. Which is why the power grids have to be operated more efficiently and more intelligently than before. ‘Smart Metering’ and ‘Smart Grid’ are the names of the current goals. The 300 distribution stations must be able to be controlled and monitored in real time. The company wanted to integrate the stations in a fast data network and connect them to FO transmission links. The FO solution would have to guarantee maximum availability, minimal attenuation and transmission losses and as long an operational life as possible. It should also be able to be adapted to the specific operating conditions of a power grid operator. R&M constructed the FO network together with TenneT, Volker Wessels Telecom and Schuuring en Stam & Co. Transmission links from telecommunication providers are being used as the backbone. The last mile to the individual Alliander distribution stations (Fiber to the Unit, FTTU) was bridged with newly laid FO installations. 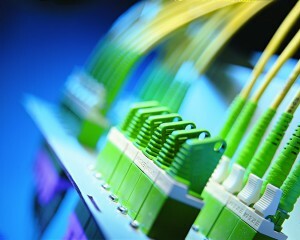 The network consists of a total of three core rings and 25 aggregation rings. Every station is equipped with redundant connections. With the Venus distribution boxes and UniRack patch boxes from R&M, Alliander’s power stations were easy to integrate into the large grid. Alliander can now manage and maintain its distributor stations in real time without having to depend on other parties. The company is equipped for a more efficient and flexible operation of the power grids and has every right to see itself as a pioneer in the creation of smart grids. 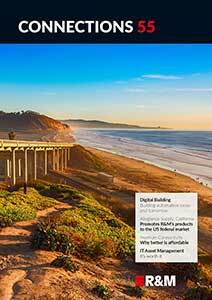 R&M’s top-quality FO technology supports reliable data transmission. Thanks to the flexible solutions enabled by the R&M range, the specific demands of the electricity supplier could be implemented to suit requirements. R&M’s quality service comprised support from planning through to installation.